A collection of various videos and presentations I’ve made throughout the years! Looking for the Apex Academy video course? Go here instead! Salesforce and I teamed up to bring you this official webinar! Every Admin can benefit from knowing a little code! 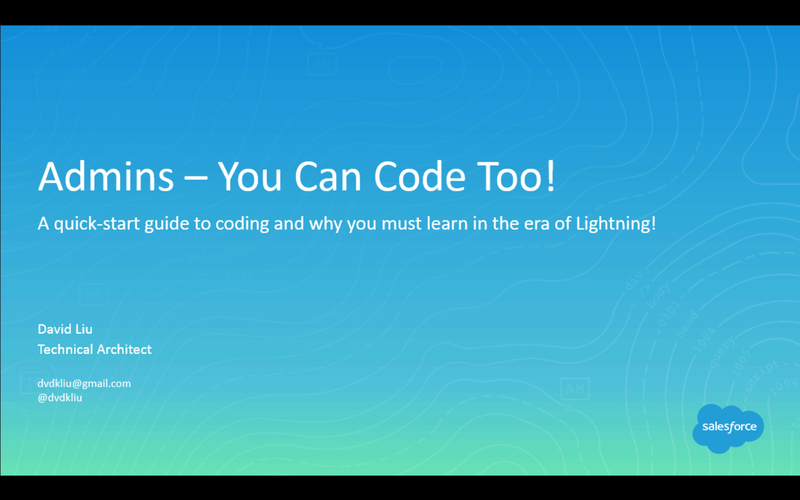 Join us to learn why it’s so beneficial to know how to code in the “Lightning” era, how to write your first Apex trigger, and your specific steps to continue learning Apex. Here are the slides too! Which Salesforce career path is right for you? In this webinar, we evaluate the pros and cons of the core Salesforce career paths: admin, developer, and architect. Every aspect is examined including pay, short and long term job prospects, end games, and more. Then, we’ll give you the best resources for starting down your chosen path! 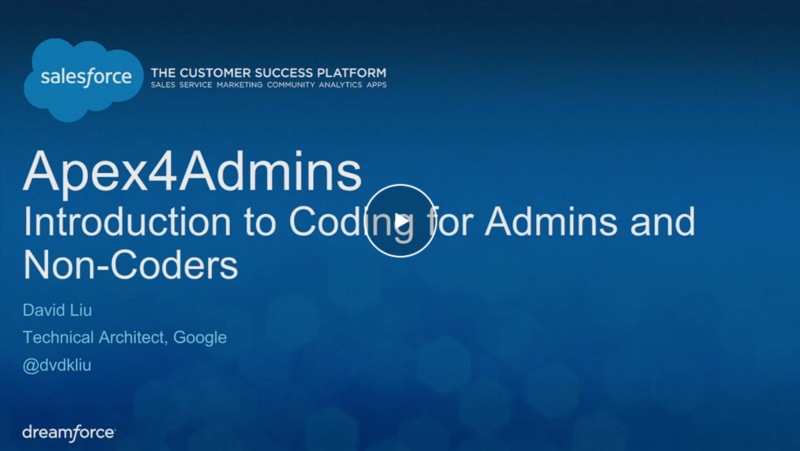 Admins – You Can Code Too! This is it! My unofficial Dreamforce keynote! Years ago I went to Dreamforce and someone special inspired me to code. I took everything he said to heart. And now, with this session, I hope to capture a little bit of the magic that once inspired me and pass it on to you. This session ends my circle and hopefully begins many more. A must watch if you’re new to the platform or simply looking to strengthen your understanding of core Salesforce concepts. Even though this covers admin (declarative) functionality, every good developer must know these tools well. Also good for those looking to get certified! A fun, three-part webinar collaboration hosted by Salesforce and yours truly – we’ll teach you how to write multiple triggers, test classes, and SOQL queries. The perfect boot camp for those with little or no Salesforce development experience! SFDC99’s first live streaming event! Take a look into the mind of a Salesforce developer as I write code 0% – 100% that can be immediately used in your Salesforce org! Unrehearsed and unscripted – see the challenges that developers face on a day to day basis and how we overcome them on the fly. 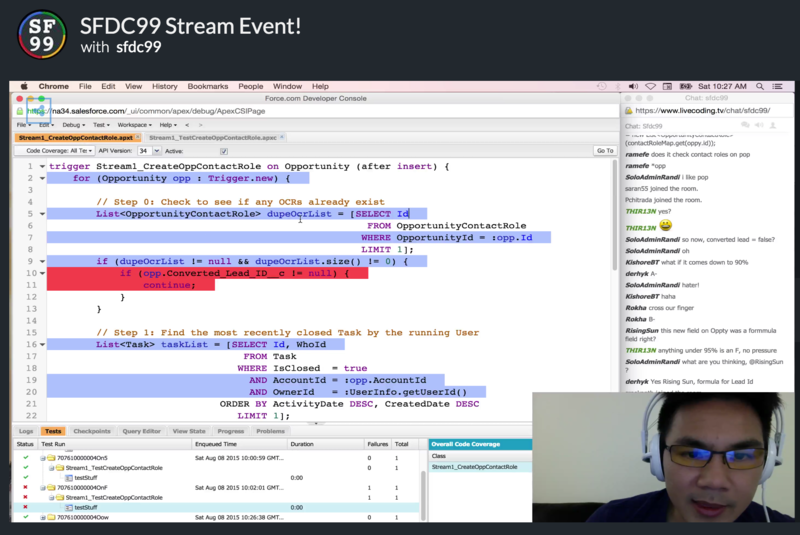 Every line of code is explained and I take questions from viewers in real-time! We examine the state of today’s Salesforce developer industry: how to get a job, future industry job growth, how much developers are paid, and how to progress in your current role. Panelists include a Facebook Salesforce development team manager, the #1 recruiter in the Salesforce industry, and of course, me! 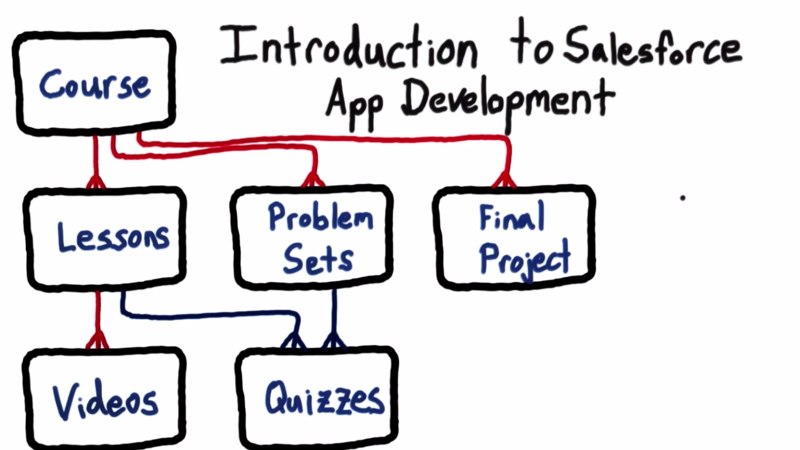 An overview of why you should start developing on the Salesforce platform TODAY no matter what kind of background you come from. We’ll show you how easy it is to get started and we’ll walk you through your first trigger and test class. A three-hour boot camp covering the various aspects of Salesforce development: Apex triggers, classes, SOQL, test classes, and even Visualforce. Write your first trigger in 5 minutes! 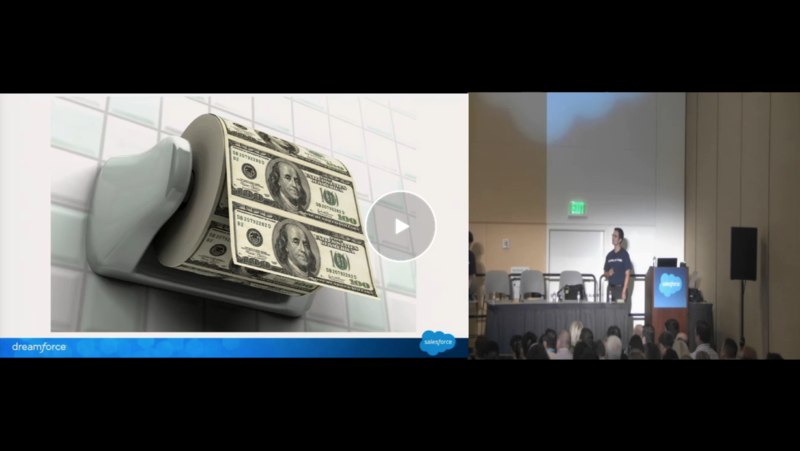 SFDC99 shoutout during the DF15 Keynote! Perhaps the best moment of my Salesforce career! when can we expect apex next topics release ? Thanks You David. Doing Great great Great Job. Thank you David… You are awesome!!! David, you are just awesome! Thank you for these resources and advice!